The media and the liberal establishment (but. . . oh, you know the rest) is gearing up rapidly for the 50th anniversary of the assassination of John F. Kennedy later this month. Already we’re seeing some of the usual themes recycled: Kennedy was a wonderboy whose unlimited capacities would have ended the Cold War, achieved racial harmony, cured cancer, and delivered us into the land of milk and honey forever, but for the reactionary atmosphere in Dallas that somehow led a pro-Castro Communist to shoot him in cahoots with the CIA and the mob. That last detail—that Oswald was a Communist—never seems to cause even the slightest hesitation in the liberal narrative, but at least recent polls are showing a steady decline in the number of people who believe a (Oliver) Stoned view of the matter. 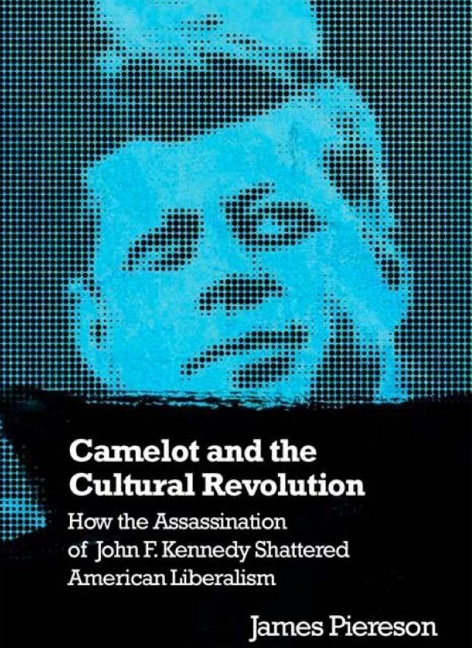 If you really want to get the counternarrative, you have to read James Piereson’s fine book Camelot and the Cultural Revolution: How the Assassination of John F. Kennedy Shattered American Liberalism. But if you live in the Boulder area, you can hear Piereson speak in person on the topic this Wednesday at 6:30 pm in the Old Main Chapel on the CU Boulder campus (I’ll be hosting and introducing him). You can read the full details here. In one sentence, Piereson’s thesis is that liberals evaded the simplest truth about Kennedy’s killing: “President Kennedy was a victim of the Cold War.” Piereson’s teaching: “The assassination of a popular president by a Communist should have generated a revulsion against everything associated with left wing doctrines. Yet something close to the opposite happened. In the aftermath of the assassination, left wing ideas and revolutionary leaders, Marx, Lenin, Mao, and Castro foremost among them, enjoyed a greater vogue in the United States than at any time in our history.” Piereson argues convincingly that it was the reaction to the assassination itself, within the mainstream American establishment as well as among liberal intellectuals, that caused liberalism essentially to suffer a nervous breakdown in the years that followed. You can read my complete review of the book here. Please come Thursday and give out a Power Line war whoop.